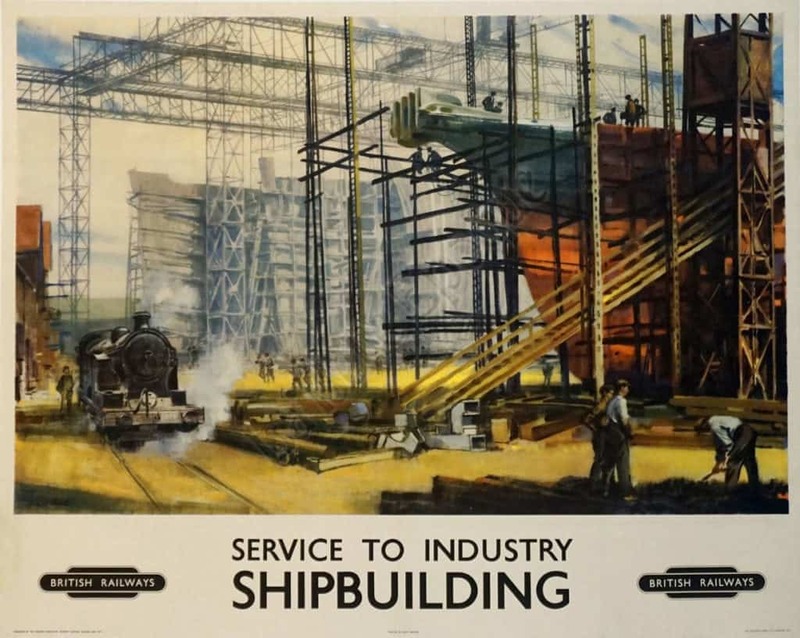 The shipbuilding industry is well depicted in this poster by British Railways. It shows partial view of the ship and men with machinery hard at work in the ship yard. Published by the Railway Executive (North Eastern Region).